Finding Car Insurance when you have been disqualified can be a painstakingly slow process, but we can help. Sometimes, mistakes are made, and nobody should be disadvantaged moving forward. Here at Moneymaxim we will be delighted to help you track down insurers who are perfectly happy to provide insurance for those who have been disqualified from driving. If you haven't been disqualified and have a minor conviction resulting in less than six points on your driving licence, use our moneymaxim cheap car insurance comparison service where we have a range of insurers delighted to quote for those with more minor offences on their licence. Want to get an immediate quote? For an immediate quote you can call Adrian Flux on 0800 181 4542. They are a specialist car insurance broker who are very experienced in insuring disqualified drivers. Click through above and fill in our simple form to get great deals, if you have any problems, don't hesitate to contact us and we will get on the case immediately. Find disqualified driver insurance using a panel of specialist insurers - they are ready to assist anyone who has been previously disqualified from driving and strive to be helpful rather than judgemental - meaning you can find both friendly help and affordable car insurance fast. The other advantage with this panel is that you can access greater choice when you come to us. When you have been disqualified from driving, insurance can feel like a big hurdle to overcome, however, it is still possible to find competitively priced disqualified driver car insurance. Quotations can be provided enabling you to find good value car insurance so you can rebuild your driving record. So however your licence looks after your disqualification, this specialist drivers insurance panel will be able to help. And, as they have spoken to hundreds of other drivers in similar situations and know underwriters used to insuring those with driving disqualifications, they know where to turn to to get you great value deals. They can access policies covering speeding disqualifications, drink driving bans and dangerous driving convictions. If you have been banned for just a few days or weeks or even 1 year, 2 years or 3 years, they can offer specialist convicted driver car insurance policies that will meet your needs. If you have had to take a retest or undertake a rehabilitation programme to get you back on the road - no matter - they can still help. Those who have been disqualified from driving are generally considered high risk by most insurance companies, meaning you may be asked to pay both high premiums and agree to a large excess on your policy. Specialists can help, using additional add on policies such as insurance excess protection insurance. Having a driving disqualification doesn't always mean your insurance premium is going to be massive - although it's fair to say that it will cast a slight shadow on your premium. Remember you will be older than you were when you last looked for insurance and that will help! A panel will look to find you competitively priced convicted driver car insurance whilst still offering the level of cover you want - whether that's a fully comprehensive, third party or third party fire and theft policy for a convicted driver. We believe this panel, made up of our partners, offer affordable rates via lower premiums for convicted drivers. 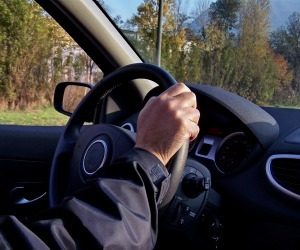 There are various ways in which someone may be disqualified from driving - through the accumulation of 12 or more points within three years, or committing a driving offence, resulting in the immediate withdrawal of your licence. If, however, you have 6 or less points on your licence please do consider the standard car insurance comparison service, as many mainstream motor insurers will be happy to quote for drivers with less than 6 points, and you may find the wider choice delivers further competitive results. Below you'll find various different policies which we supply for people following the end of their ban.